You might think that we are magicians when you see all that we can do for your home. However, the truth behind the magic is that we have the right tools, the right cleaning solutions, and the right people behind each and every job we take on. Our Dublin carpet cleaning services are truly top-notch. Got a Stain? We Can Remove it! Our top of the line vacuums and steam cleaners can tackle even the toughest of stains. 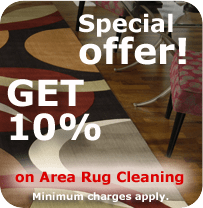 These professional-grade carpet cleaning tools allow us to penetrate deep into your carpets and upholstery to remove dirt and debris from the fabrics. Regular household cleaners and vacuums just don’t have the power to do this. Some problems – such as a couch or carpet with a foul, stubborn odor – are best left to the professional to fix. When you choose Legacy Carpet as your Dublin carpet cleaning service, you won’t have any regrets. Carpet cleaning professionals take care in the formal procedures of cleaning carpeting for their clients. The experts at Legacy take it a few steps further. Here’s what you can expect when you enlist our carpet cleaning services in Dublin. Upon entering a customer’s home, the experts at Legacy will don shoe protectors to maintain the home’s cleanliness, and to avoid tracking any further residue into the home. Corner protectors may be used so hoses will not damage paint. A pre-cleaning inspection to determine the clients areas of concern (stains, etc.) are addressed with the homeowner. This eliminates the guesswork in how and which method will be used. Upon vacuuming the areas to be cleaned, a specially formulated pre-conditioner will be applied to the carpet with an agitation process to loosen dirt and suspend soils. Once the pre-conditioner has had time to dwell the carpet will be cleaned using a truck mounted unit and rinsed thoroughly with a neutralizing PH cleaning agent, taking all of the pre-conditioner along with contaminants out of the home. This will help the carpet to stay cleaner longer and prevent carpet from re-soiling quickly due to residues being left behind. Once cleaning has been completed, the carpet will then be groomed to reset the nap. High-velocity fans will be used to accelerate the drying time. A post inspection by the homeowner is insisted upon, where all concerns are addressed.